A beginning writer recently asked me how to create compelling openings, thus prompting this blog. So, now I need to figure out what those strengths are. I’ve included the whole chapter, which has two scenes. I will break them down and comment on them using italics. Note: This is an unusually long blog. 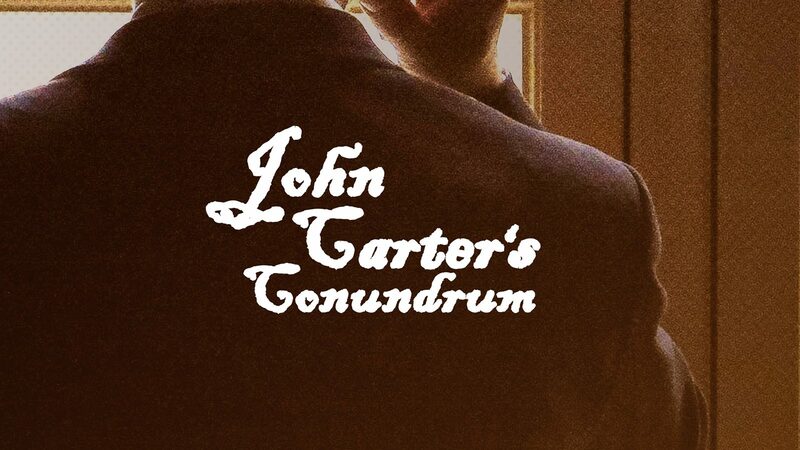 When John Carter stepped into the darkened room, the depressing scent of dust and bodily decay assailed his nostrils. He inhaled and caught a welcome waft of camphor. Though cloying, the laurel wood oil made the air marginally more breathable. “We wouldn’t want that,” Carter replied mildly and did as he was told. Thoughts of death had crossed Carter’s mind when he had received, earlier in the day, a summons to the magnificent home of Lord Avery, Third Duke of Bradford, on Portman Square. He had become sure of the deathbed scene awaiting him when, upon being ushered into the foyer, the senescent butler had not led him to a receiving room on the ground floor but rather up the grand staircase to the family quarters. His eyes, adjusting to the candlelit dimness, observed the man shrunk to child-like proportions in the capacious bed on the far side of the room. The body tucked below the covers was frail. The arms, crossed atop the covers, resembled plucked chicken wings. The head, well on its path to skull, sprouted the last wisps of white wiry hair, eyes and cheeks sunken, the whole covered by skin paper-thin. “Yes, Your Grace, certainly,” he said, still in mild tones. The first three sentences set the scene. After a quick exchange of dialogue, the deathbed scene is further described with seven more sentences. The dialogue keeps the story moving forward. Carter was not offended. He was rather touched to be reduced to a lad and transported back to his youth in Hartsfield. Through the duke’s questions the character and background of John Carter is revealed in a natural way. We know a lot about the main character quickly. Growing up in the shadow of Bradford Manor, where the country grapevine was well rooted and luxuriously branching, Carter was aware that the Third Duke and the future Fourth Duke did not enjoy a comfortable relationship. Where the friction arose, no one could say for sure, although various theories – most entirely fanciful – circulated freely. Carter was increasingly curious to learn the reason for this visit but held his tongue. 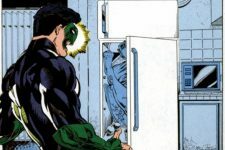 He would pay his grace courtesy under any circumstances. Under these he wished to give the dying man the freedom to do whatever he wanted, as the duke had just said. Because Carter would have imagined his grace had done whatever he wanted his entire life – such was a duke’s privilege – he was not sure what further liberties the deathbed afforded. With no mariner’s star to guide him, Carter interpreted his role to be an attentive first mate on the duke’s final journey out to sea. Silence fell. A candle guttered. Muted sounds of household activity drifted up. In the street below a carriage rumbled over the cobblestone, horses’ hooves clopped. A gurgling sound guttered in the duke’s throat. John Carter naturally wonders why he was called to the duke’s deathbed. Whatever his expectations might have been, they are not being immediately met. “Oh, and you need knock only once, then enter,” the duke added. “I will do that, Your Grace,” Carter assured him. The old man fell back again and approved, “Good lad.” A moment later a troubled look furrowed his brow and his body twitched. John Carter can have no idea what the duke’s ramblings are about. All he can do at this point is listen. Then he sank again into reminiscence. At first Carter did not know the people or the events the duke referred to, but the longer the old man spoke, the farther he sailed into his early life, as if crossing toward the far shore doubled as a journey backward in time. 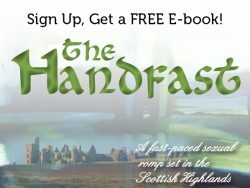 Suddenly Carter recognized the places the duke was describing, the town of Brad’s Ford, the paths, the hamlets surrounding Bradford Manor, one of which was Hartsfield. He spoke of the delights of playing at the mill when he was a boy, some seventy years before it must have been, how the miller patiently showed him the workings of the gears and the waterwheel and cautioned him to keep his fingers clear of the millstone, how the miller’s wife fed him unforgettably fresh bread made in the afternoon from wheat ground that morning. He spoke of spring thaws and rolling meadows, fertile fields, wildflowers in summer, fall harvests and festivals held outdoors when a pleasant nip caught the air, first snow falls and blankets of white shrouding the hills and dales, keeping them safe while they slept. In the thin thread of the voice Carter heard tones of deep love. “It is, Your Grace,” Carter responded almost involuntary, moved by the duke’s descriptions. He was profoundly happy Thomas was there now reveling in the bounties of the countryside in the care of his nanny and granddad. Abruptly the mood in the room shifted. The duke returned to the present and made a noise of profound disgust – whether in reference to his sentimental memories or his withered condition or both. Carter looked as directed and was surprised to see a thick envelope addressed to Mister John Carter. He hesitated only momentarily. The duke clearly wanted him to have whatever was in the envelope and had called him to his bedside to give it to him. He rose, picked up the envelope and slid it into his inside jacket pocket. He had the odd premonition the envelope held a deed, perhaps to a parcel of land in Surrey. The duke waved a hand dismissively. This is the end of the first scene of Chapter One. The duke finishing a thought he didn’t complete on Page One gives shape to the scene. At the end of it, the reader knows the duke has high regard for John Carter, although the reasons aren’t spelled out. Neither the reader nor John Carter knows yet what’s in the envelope. Now on to the second scene of Chapter One. Six days later in the London Times Carter spied the sober black border surrounding the obituary of the Third Duke of Bradford. The funeral was to be at St. Mary the Virgin in Mortlake, which he knew to be on the south bank of the Thames between Kew and Barnes. It was a part of Surrey at the southwestern edge of the city bursting at its seams and likely the established place where the Averys had buried their dead long before they came into the dukedom. Carter dressed in his navy frock coat and knee breeches, which were not silk but cotton, as were his stockings. He took simple pride in his shirt and stock of lawn, even though he did not intend to be seen. He arrived at the church just as the service was underway and stayed outside, wishing to be present but thinking it unseemly to formally attend. When the mourners crowded into the cemetery on the side yard, he kept out of sight and only went to pay his respects graveside after all the mourners had left and the sexton had finished his job. John Carter has made a death-bed promise to the duke to “Carry it through.” The conundrum is: Carry what through, exactly? It is to be hoped that the reader is both curious enough about the conundrum and compelled enough by John Carter’s affable, unflappable personality to wish to join him on his journey of discovery.